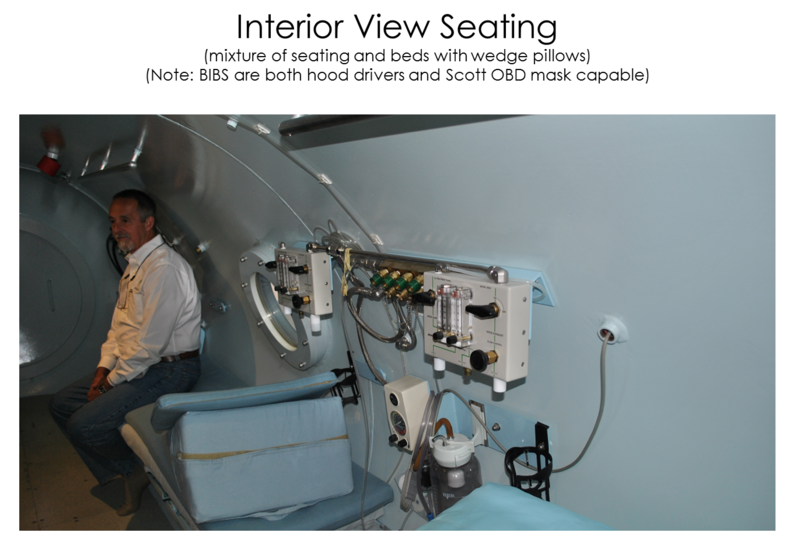 The 72” ID double lock 6 ATA hyperbaric therapy system seats 11 patients +1 attendant and high resolution monitors for the clearest view. 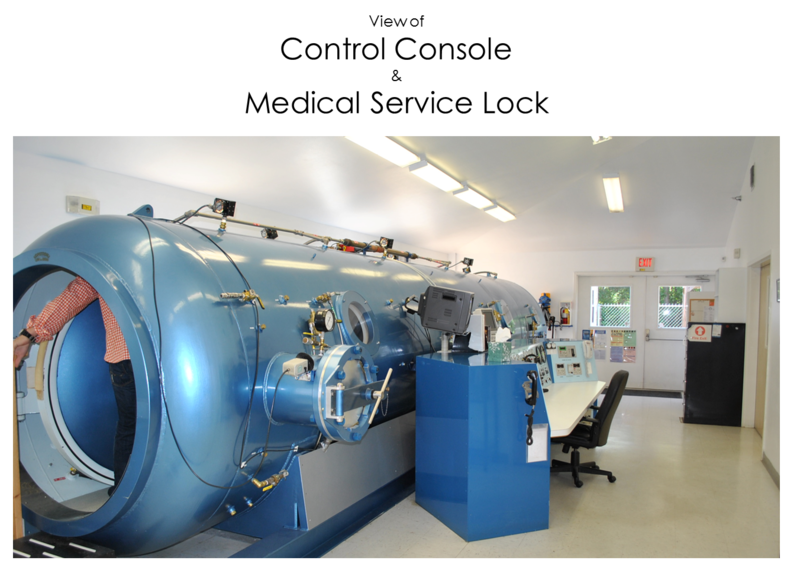 This 72” ID double lock 6 ATA hyperbaric therapy system was state-of-the-art when it was built in the late 1990s. 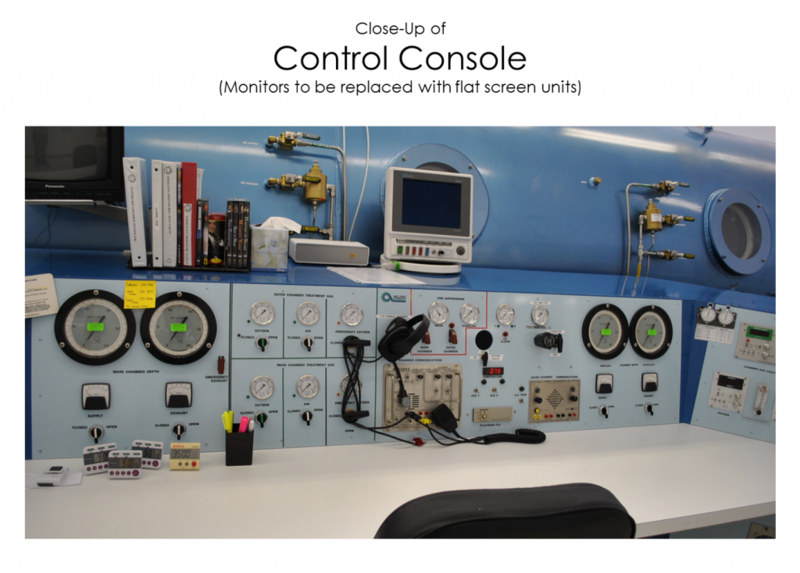 We have brought the control console up to 2014 standards with high resolution video monitors, replaced the fire suppression system with components that meet or exceed NFPA–99–2014 Chapter 14 requirements. 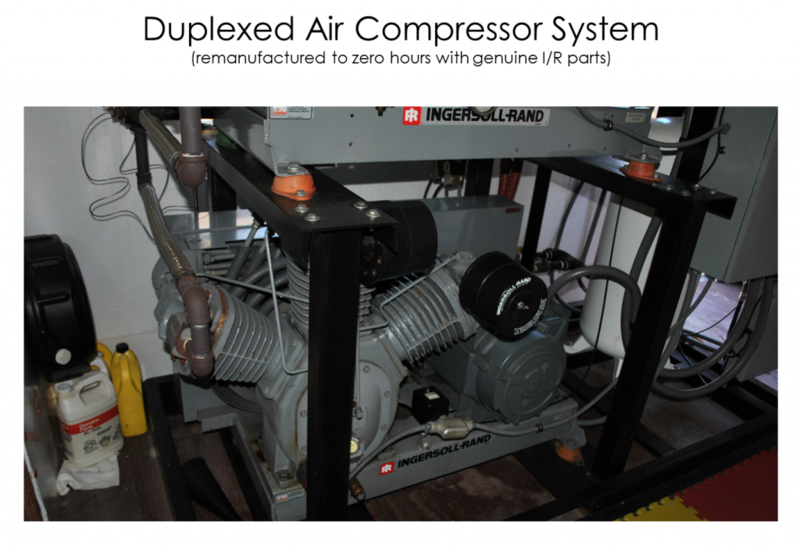 Additionally, the medical grade air compressor system has been completely replaced with new American Made non-lubricated duplexed compressors, vinyl epoxy lined air receivers, automatic moisture drains, 0.01 µ particulate filters with visual indicators, CO and dew-point monitor, and refrigerated air dryer. 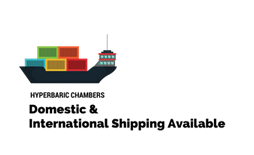 This unit is available delivered and installed in a chamber ready room in the contiguous United States at a fraction of its replacement value. 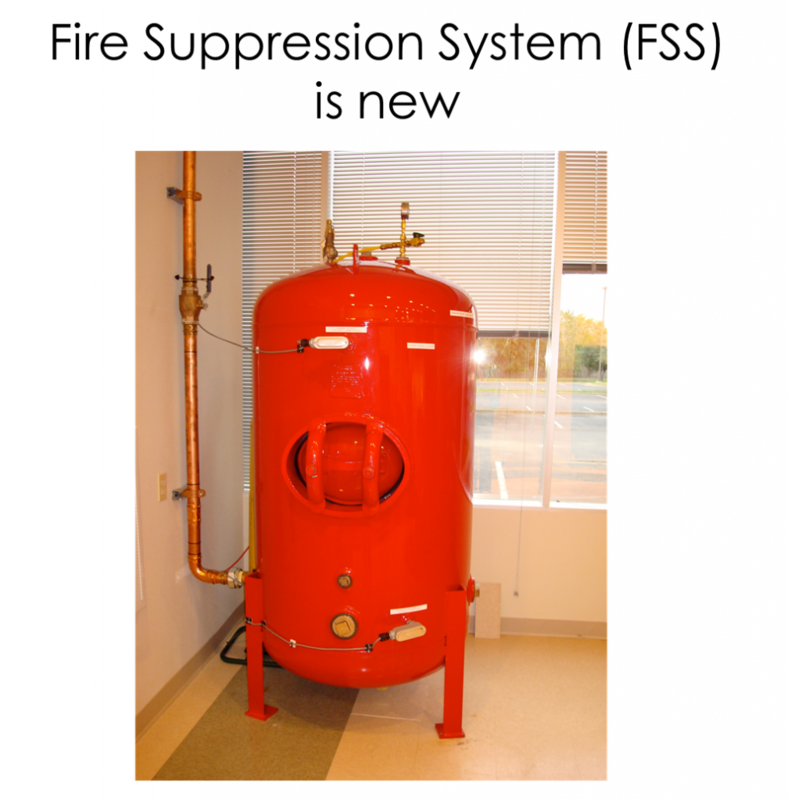 In-service training is included in the sale price as well as a one- year warranty. 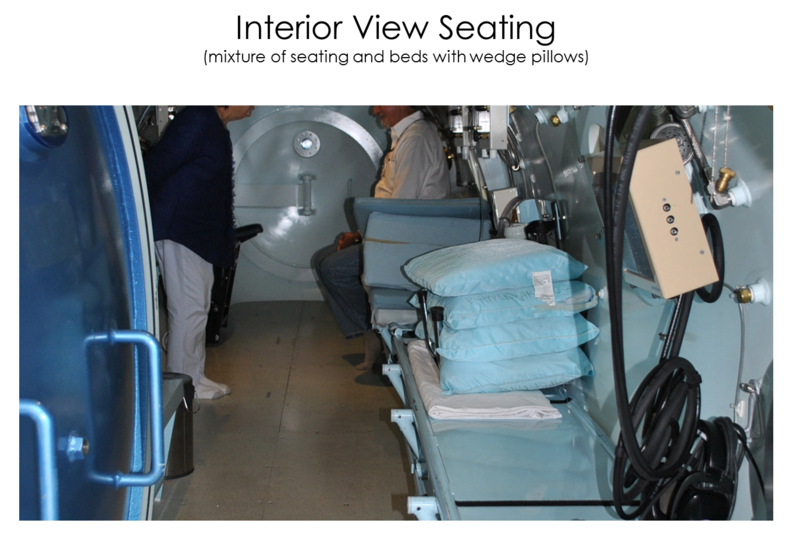 This remanufactured state of the art system seats 11 patients +1 attendant in the main lock, is outfitted with a generous size medical service lock, and is now ready for many decades of reliable service.